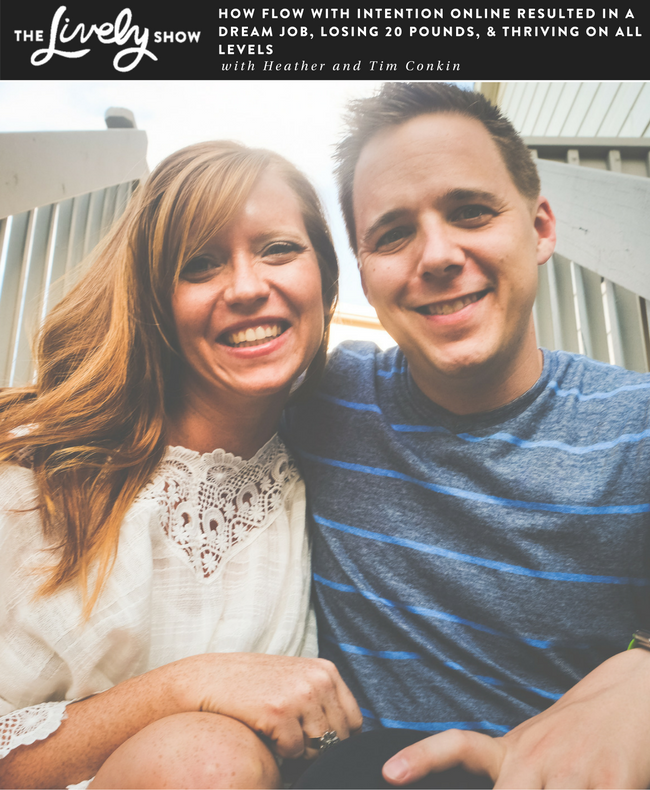 Today on TLS we have a special double interview with wife and husband, Heather and Tim Conkin! 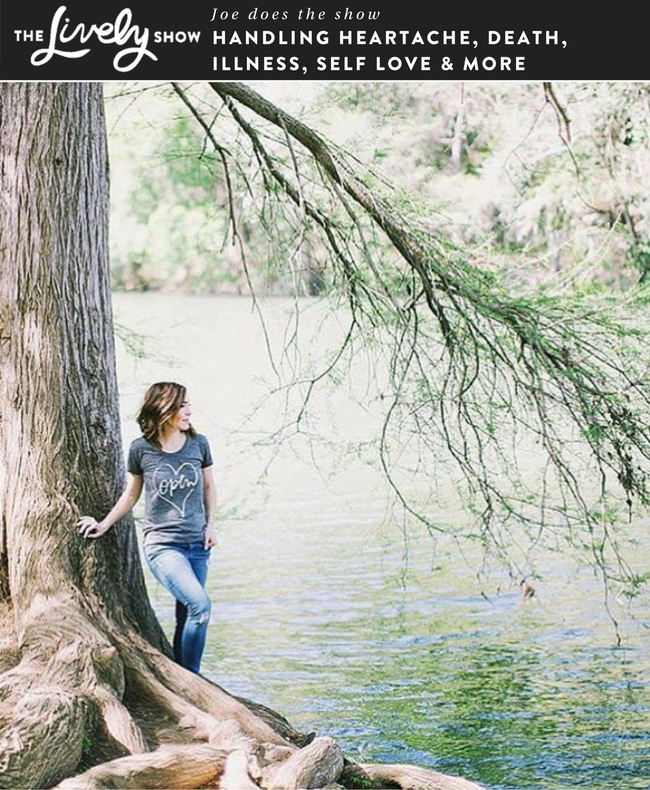 In honor of Flow With Intention Online launching very soon, Heather, a podcaster behind The Practical Minimalists, and Tim are both FWIO alumni who are sharing their incredible results from taking the course this February. Heather initially focused on transforming her relationship with her career, and as a side result of applying this work easefully dropped 20 pounds as well! Tim, meanwhile, not only shifted how he related to his boss and career dramatically, he also effortlessly flowed into his ideal job position and has transformed his connection to pleasure on a daily basis. This episode is perfect for anyone looking to hear about the powerful results of the concepts taught in Flow With Intention Online, or anyone looking to hear advice on how to approach personal development with a partner. PS – Flow With Intention Online registration is now open until Friday, September 15th and class runs October 3-26. 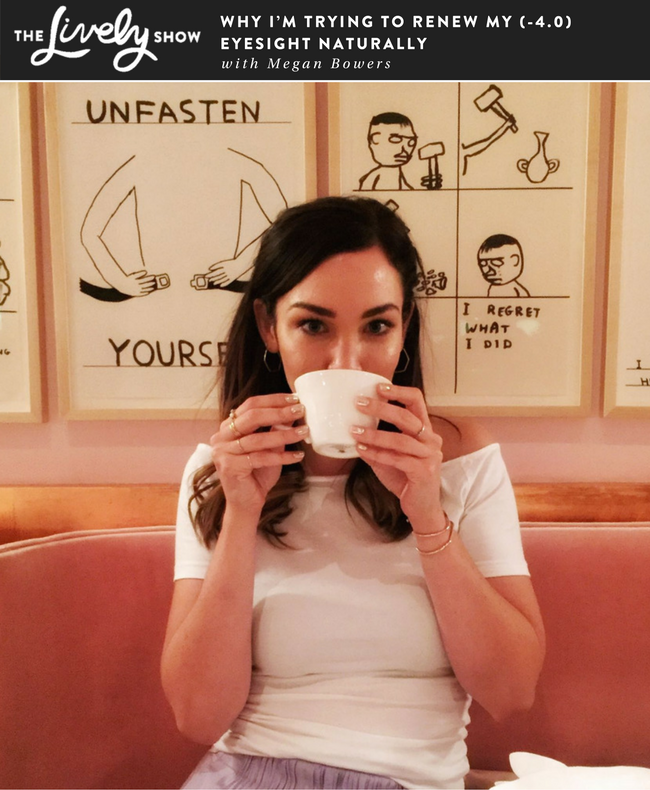 Today on TLS I”m chatting with Megan Bowers again — only this time I’m explaining why I’ve decided to go the last week without glasses or contacts, even though I have a -4.0 prescription. After deciding to experiment with all the knowledge I’ve been finding out about the subconscious and healing over the past several months, I focused on my eyesight first and foremost. What began as a somewhat “simple” experiment, has revealed far more than I ever would have imagined when it comes to emotion, eyesight, and healing. This episode is perfect for anyone who is curious about the connection between vision, sight, and emotion. Today’s Lively Show is in the hands of…. Joe! No, not Joe, our TLS producer, but Joe, the non-physical entity that I can ask questions to and hear responses from (If you are thinking, what the what?! – I explain more in the show what’s going on). Today, I’m sharing the answers I received to many questions you asked on a lot of serious and deep topics including death of a loved one, overcoming heartache, self love, staying calm during meditation, and much more. This episode is perfect for anyone curious to hear from Joe, and for anyone that is looking for insights and understanding on many deep (and sometimes difficult) life situations we all face. 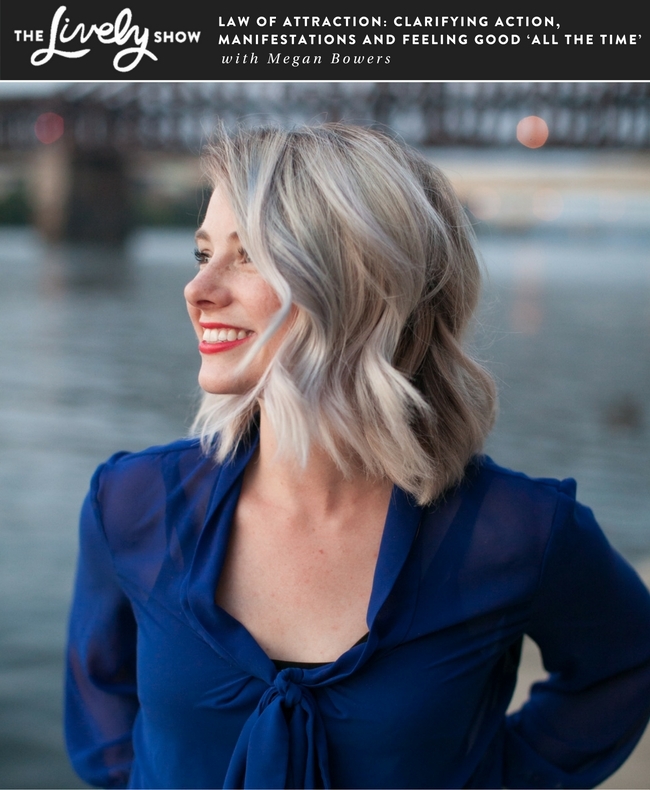 Today on TLS, I’m discussing one of my favorite subjects with friend and videographer, Megan Bowers… The parts of law of attraction that can seem confusing. Do I need to take “Massive Action” a la Tony Robbins? Should life feel “easy and good” all the time? What is the most critical part of all desires? This episode is perfect for anyone looking for a deep dive into the finer points of Law of Attraction and how to use it to live the life you want. 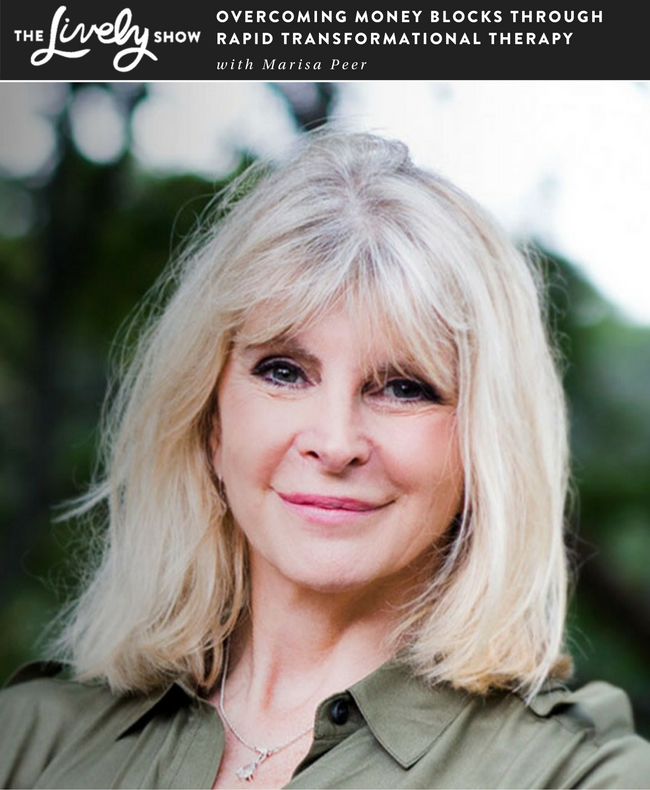 Today’s Lively Show is a fun “high vibe living” discussion on a topic that I think many people can relate to: the seeking of a ‘knowingness’ in a relationship or career choice. This topic first surfaced last summer, during a conversation with Erica Gellerman, of The Worth Project. 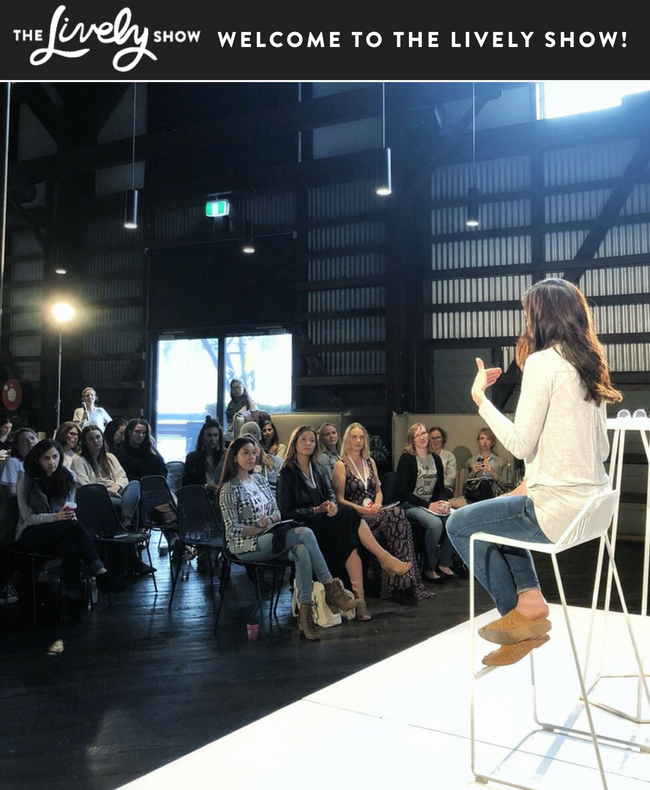 As we discussed our focuses in life (relationship for me, career for her), it became clear that each of us sought a ‘knowingness’ in a different area of life, and that the other person had experienced that exact clarity in the area we sought to discover. In this episode, we are sharing the paths we both took to discovering this feeling of “knowing,” what it feels like, and how we have learned from one another so that we can understand our own growth and clarity in new ways. 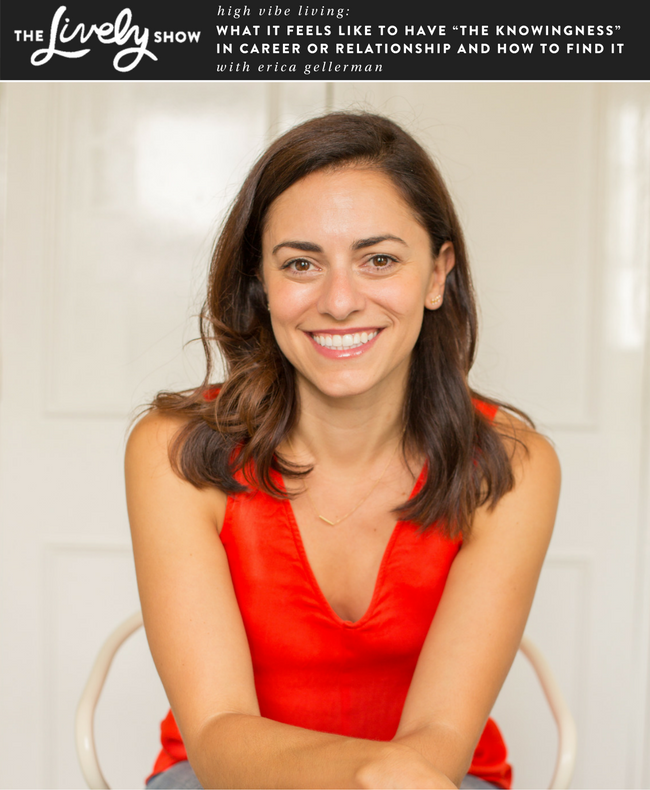 Today on TLS, we are having Marisa Peer back on the show in a unique way (here’s her first interview)… we are sharing a Rapid Transformational Therapy therapy session with a woman who had issues keeping and maintaining money in her life. For people with money blocks, this episode can be particularly powerful. And for anyone who is curious about the power of using the subconscious to change habits, this example of RTT will also be quite fascinating. This episode is perfect for anyone who has issues attracting or maintaining money, or for anyone who wants to experience a Rapid Transformation Therapy session. 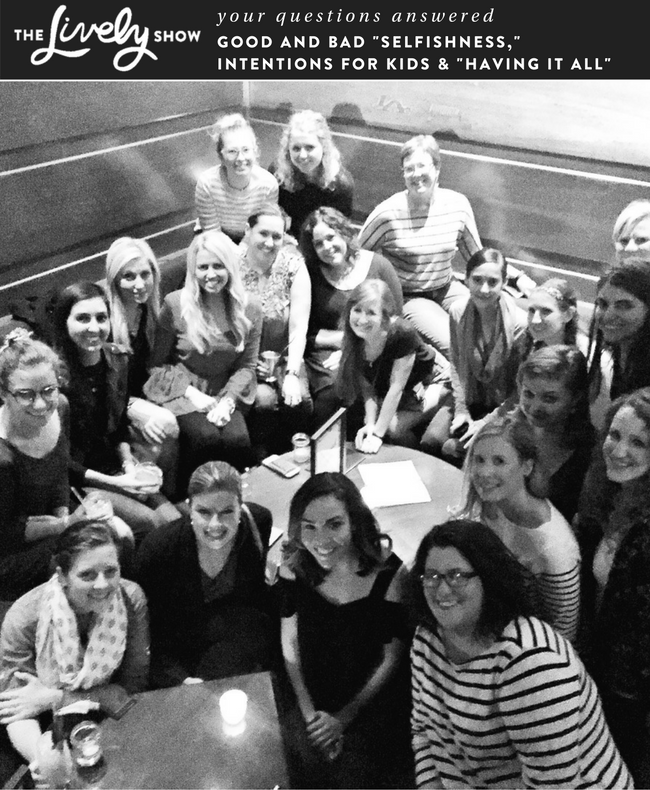 PS: Here is the link to find a RTT Therapist online or in an area near you. 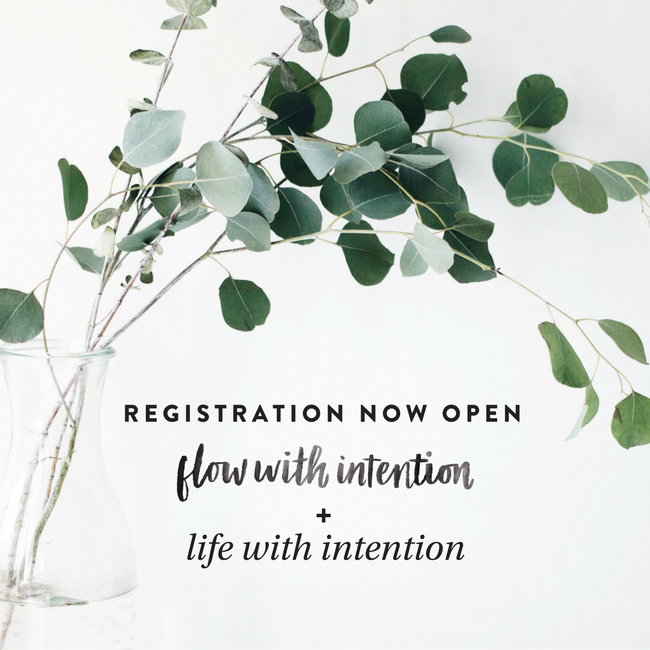 Registrations for FlowWithIntentionOnline.com + LifeWithIntentionOnline.com are now open! If your intuition feels one (or both) classes are a fit, I look forward to working with you next week! This will be the first live round of Flow With Intention Online and the final live round of Life With Intention Online (starting in March, LWIO will be a year-round do-it-at-your-own-pace online course). Registration for both classes close on Friday, Jan/27 at midnight, and both classes run between Jan/29 – Feb/24, 2017. Selfishness (the good and bad kinds), dealing with the relationship ‘sock debate’, flowing while still getting the important stuff done, how to help kids set intentions, and more. This episode is perfect for anyone who is looking to understand more about creating emotions before outcomes, parenting with Values-based intentions, or anyone looking to hear a wide range of thoughts on flow, alignment, and selfishness. Over the past four and a half months, I’ve been using two new intentions in my life around two life areas that previously weren’t really on my radar. And I’ve gotten a lot of emails over the past month from Lively Show listeners asking me to discuss these two areas in more depth. 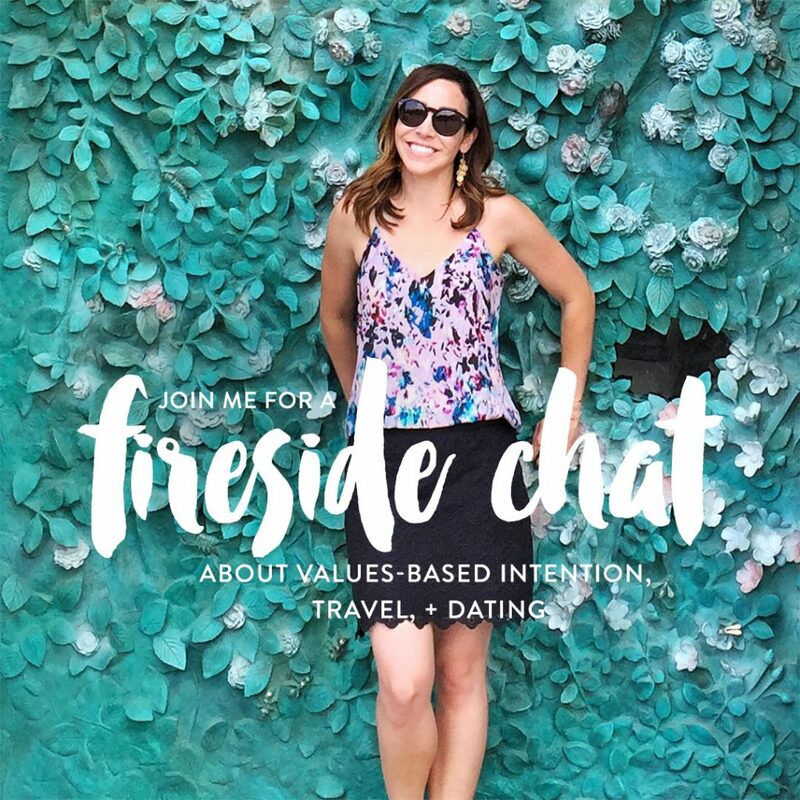 So tonight (Wednesday, September 14th) I’ll be doing a fun (free) online fireside chat where I share how I’ve applied my two new intentions for travel and dating (plus some practical tips I’ve picked up along the way). I LOVE these fireside chats. They are my chance to have a “lively” (and honest) conversation with you about my life and to discuss topics that I think are relevant to many of us. * Note: This is a LIVE, free, online event. Once it has taken place, there will not be a way to sign up or participate. PS – Life With Intention Online registration closes Friday, September 16th at Midnight. I spent a couple days in New York City before heading to London. 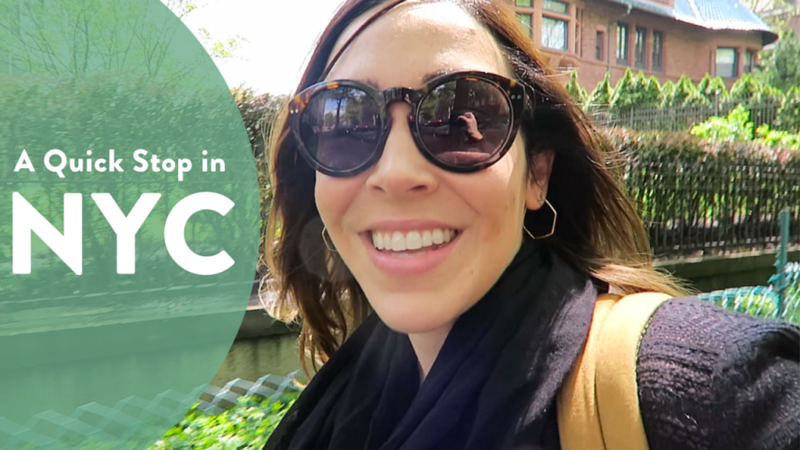 In this episode, I’ll stroll around the city and talk about how I’m feeling after selling my house and setting out for Europe. TLS Vlog #10: I Have A BIG Announcement! 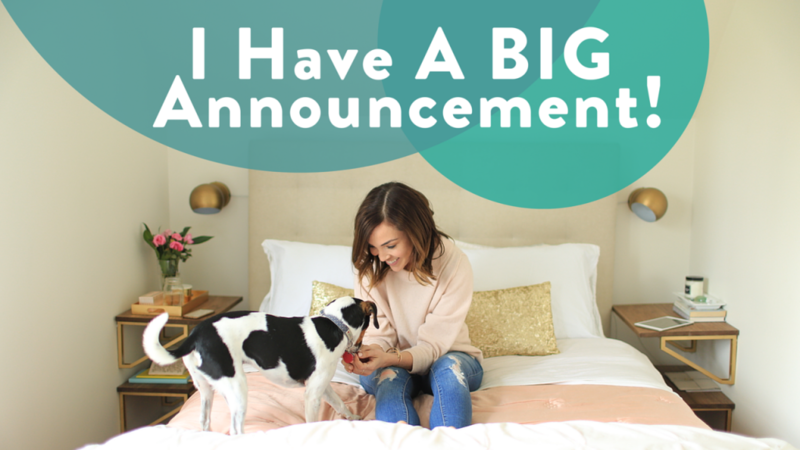 Today I’m sharing some MAJOR news that has recently shifted my life’s trajectory. When I normally share personal events, it has been weeks or months since I worked through my emotions and came to a decision. However, in this episode, you’re getting a look at what it’s like for me to work past my ego and listen for my intuition in real time. There are a few tears and lots of vulnerability. I hope by sharing this video that it somehow helps others who may be going through difficult decisions to tap into their intuition as well.